QuickBook is much more efficient than spreadsheets, word-processing, or paper ledgers. Quickly and easily manage basic tasks like printing cheques, paying bills, generating reports, invoicing customers and tracking expenses. You'll spend less time and money on bookkeeping and paperwork — and have more time to work on other important areas of your business. 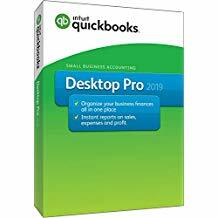 QuickBook has tools to help you get started quickly, answer your questions and guide you through basic setup tasks step-by-step. Organize information about your company, customers and suppliers in one place so it's easy to find when you need it. No need to know debits, credits, posting, or closing; QuickBook speaks plain English and is organised the way you think about your business. Flow charts of activities show you how to enter data, and all the frequently used activities and reports you need are available with the click of the mouse. Simply fill out familiar forms such as invoices, receipts and cheques - QuickBook does the calculations and accounting for you, instantly. QuickBook automatically updates your accounts to reflect each transaction, from writing a cheque to recording a sale.